In the dramatic competition devised by Charlotte Casiraghi, Honorary President of the GCT Monaco, 15 teams of amateur and professional riders joined forces for a fast and furious race to victory and a share of the first prize. 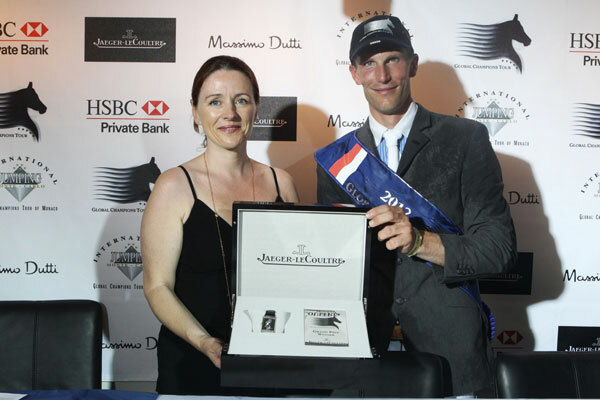 Jaeger-LeCoultre, the reference in Swiss fine watchmaking, sponsored the overall competition continuing the brand’s strong association with equestrian sport and the Global Champions Tour. With the GCT showground decked out in red and white and teams dressed in co-ordinated polo shirts, the scene was set for the battle in the Jaeger-LeCoultre Pro-Am Cup. Jaeger-LeCoultre was honored to be represented by United Arab Emirates leading rider Sheikh Shakhboot Bin Nahyan Al Nahyan who competed alongside Jane Davies, an amateur UK rider. Charlotte Casiraghi, the patron of this show, competed in the Cup together with Edwina Tops-Alexander, a long-time friend of Jaeger-LeCoultre. Masoni SpA’s Pius Schwizer and Filippo Bologni set a cracking pace and their time of 72.83 remained unbeaten leaving them as Jaeger-LeCoultre Pro-Am Cup champions. Princess Caroline of Monaco awarded the winners with the first prize. Kevin Staut polished off a fantastic victory in the Global Champions Tour of Monaco in one of the most unpredictable Grand Prix of the 2012 series so far. French rider triumphed on the Belgian bred gelding Reveur de Hurtebise, even though horse and rider have only been a combination for two months. 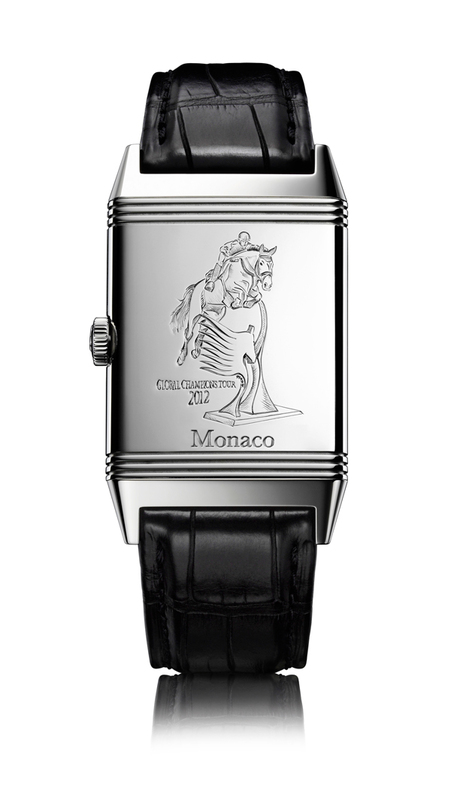 Isabelle Gervais, Jaeger-LeCoultre International Public Relations Director, awarded the champion with the Grande Reverso Ultra Thin Tribute to 1931. Watched by His Serene Highness Prince Albert II of Monaco, the Grand Prix produced great sporting drama and plenty of upsets with the best in the world being toppled by impressive newcomers to the GCT. Edwina Tops-Alexander, Jaeger-LeCoultre friend, finished in seventh place on four faults on her famous gelding Cevo Itot du Chateau and remains top of the GCT ranking so far in the 2012 series. Crowds lined the public route alongside the arena to get a glimpse of the show jumping stars and some of the glamour and royalty at the event.